Today, Spencer and Mark are discussing Superman 22, originally released May 3, 2017. As always, this article contains SPOILERS. Today, Spencer and Michael are discussing Robin: Son of Batman 9, originally released February 17th, 2016. Today, Spencer and Mark are discussing Robin: Son of Batman 6, originally released November 25th, 2015. Today, Michael and Spencer are discussing Robin: Son of Batman, originally released October 28, 2015. Today, Spencer and Mark are discussing Robin: Son of Batman 2, originally released July 15th, 2015. Today, Michael leads a discussion about Convergence 8, Action Comics 2, Blue Beetle 2, Booster Gold 2, Crime Syndicate 2, Detective Comics 2, Infinity Inc. 2, Plastic Man and the Freedom Fighters 2 and World’s Finest 2. Today, Drew and Spencer are discussing Batman and Robin 40, originally released March 25th, 2015. Today, Mark and Michael are discussing Batman and Robin 38, originally released January 21st, 2015. 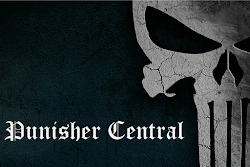 Mark: One of the complaints leveled at comic books is that nothing ever sticks. A character dies, only to be brought back at the next best opportunity. Damian was dead, but now he’s back. Reborn Damian has super powers, but it’s probably only a matter of time before he’s de-powered. Does the inevitability detract from what’s happening now? As a reader, that’s not something that’s ever bothered me. My only expectation/hope when reading a series is that individual arcs will be satisfying. Comic books are mini-rebooting between arcs all the time. If a good arc is followed by a bad arc, it doesn’t diminish what came before. From lines at conventions to the internet petitions every time an assignment changes, its clear comic fans put a lot of stock in who writes and draws their comics, often to the exclusion of the rest of the creative team. While colorists have slowly been gaining more recognition, they are still largely the unsung heroes of the comics world, adding depth and meaning to the storytelling in ways so subtle as to be almost invisible. As we started preparing our year-end lists, we realized that we, too, had been overlooking the contributions of these indispensable artists, and decided it was high time to offer the best the praise they so rightly deserve. 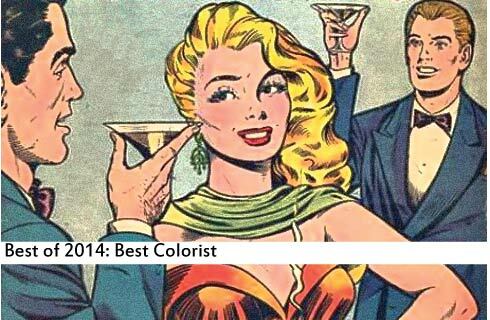 These are our top 14 colorists of 2014.